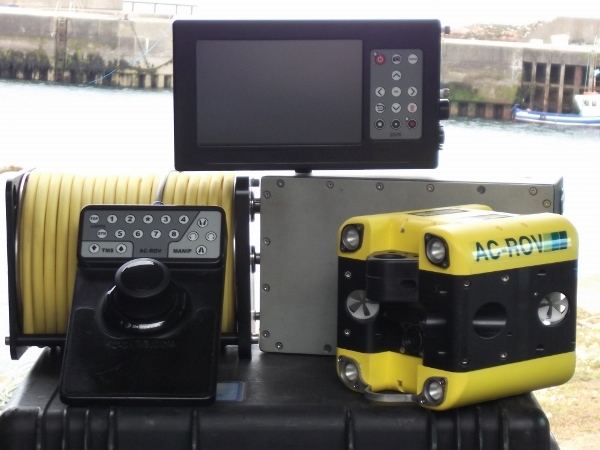 AC-CESS and their engineering partners at All Oceans looked at existing small ROV technologies and set to improve upon them. Principal design drivers were size, mobility, robustness and overall portability. 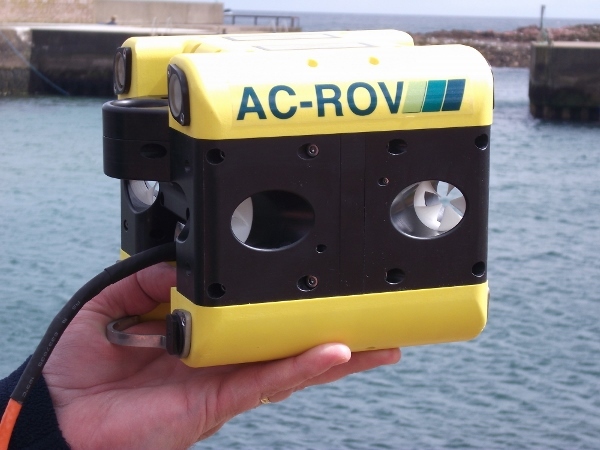 The AC-ROV is a full five degrees of freedom underwater video camera and sensor platform. This manoeuvrability is essential as other underwater inspection vehicles do not have the mobility to work in confined spaces. 4 horizontal thrusters operate together to power the AC-ROV forward, back and sideways. Their “vectored” arrangement is like having 4 forward and 4 side, or lateral thrusters. This is the thruster set up on the vast majority of serious commercial ROVs because lateral power and speed is as important as forward power and speed. One is used to get you to the target, the other is for keeping you face onto the target. More often than not any current at a target will not be head-on, but SIDE-ON, so serious inspection requires serious lateral flight capability. This is why the AC-ROV can fly as fast sideways as it can forward and back, or more importantly, hold station in a given current coming from any direction. There are also 2 vertical thrusters for up, down and tilt control. Flight Freeze / Flight Un-freeze / Progressive Forward Flight, Vertical Trim and Tilt / 3 stage Power Increment / Camera switching. 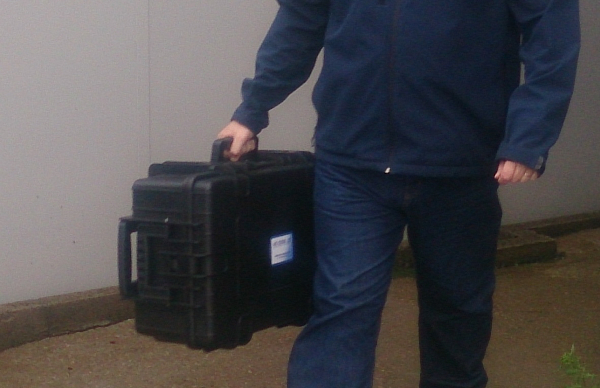 With a “fly through” size of 190mm and a “drop through” size of 210mm, the AC-ROV can get into seriously small spaces. The unique AC-ROV thrusters do not have central shafts and the inward pointing blades do not meet. Apart from being very resistant to fouling, they provide full bore equal thrust in both directions. This is not the case for shaft mounted thrusters which normally have a motor right in the middle of the flow path and a shaft just waiting to foul up. 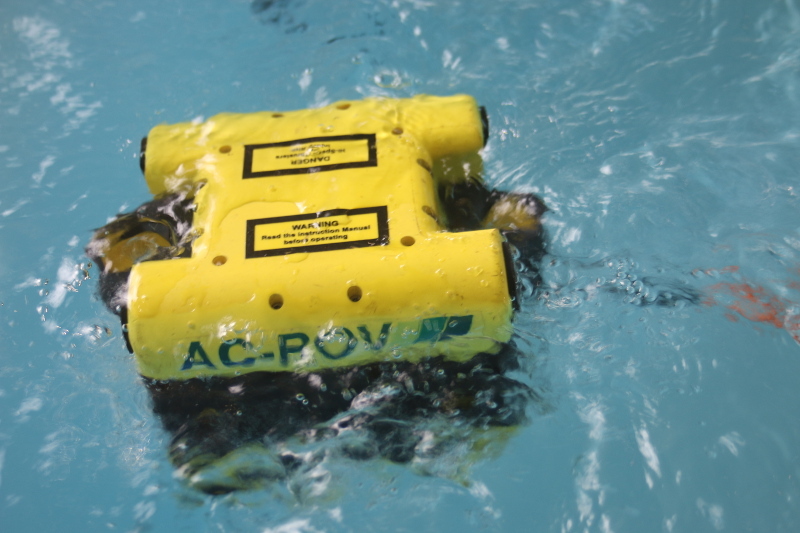 The design results in an overall power to weight ratio 50 -100% greater than other small ROV. All these market leading attributes are delivered in an extremely robust, reliable, modular design. Its inherent strength and serviceability means that the AC-ROV keeps coming back for more. See FAQs for quick answers to your questions or contact us with your enquiry.